If you’re in need of a garage door replacement, you’ll want to find a company with a longstanding history of providing top-of-the-line products and exceptional service. For homeowners in Huntsville, Alabama, that company is 31-W Insulation. Since our founding in 1972, we have been dedicated to helping customers with a range of home improvement needs. 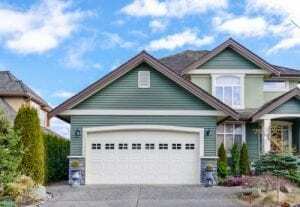 We can install a new garage door that will improve the safety and beauty of your home. Styles – From traditional doors to carriage house styles, there are options to suit any aesthetic. Additionally, we offer specialty styles and design-your-own options for a truly one-of-a-kind appearance. Colors – Our garage doors come in many different colors and woodgrain finish options, so you’ll be able to find an option that complements the appearance of your home. Windows – Choose from many different shapes, styles, and designs for your window panels to put the finishing touch on your garage door. No matter how you choose to customize your garage door, you’ll enjoy a product that is durable and low maintenance. Many of our door options are constructed from heavy-duty steel and come with insulated and non-insulated options. Additionally, our garage doors are built for wind-load resistance to withstand inclement weather and meet any local building codes. To get started on a garage door replacement at your Huntsville, AL, home, contact 31-W Insulation today.